After years of consternation and uncharacteristically cursing under its breath, Nintendo has accepted that those annoying phone-obsessed kids on its lawn aren’t going away anytime soon. So instead of sitting by and watching upstart studios swim around in their Kate Upton money, Nintendo has announced that it is now committed to making smartphone games of its own. The Kyoto-based outfit has entered into a long-term business relationship with DeNA (pronounced D-N-A), a Japanese web services company that publishes mobile games and runs a network to connect their players and make it easier to spend money on in-game junk. While both companies will be developing mobile games based on Nintendo’s established characters and worlds, Nintendo stressed that these will be wholly original games designed for mobile devices—not conversions of existing Wii U and 3DS games. Nintendo CEO Satoru Iwata, lovable star of the Nintendo Direct webcasts, said during the announcement that this new focus does not mean the company is moving away from traditional video game and hardware development. Instead, he sees these mobile efforts as a way to reach a broader audience of suckers who, upon getting a watered-down taste of that Nintendo secret sauce, might make their way to one of its standalone video game systems. And to prove that dedication to the traditional hardware business, Iwata confirmed that Nintendo is developing a new video game system with the codename of “NX” and promised further details next year. Whatever it is, NX will be a part of the new network Nintendo is creating with DeNA, a service that will span the Wii U, 3DS, NX, mobile devices, and computers. 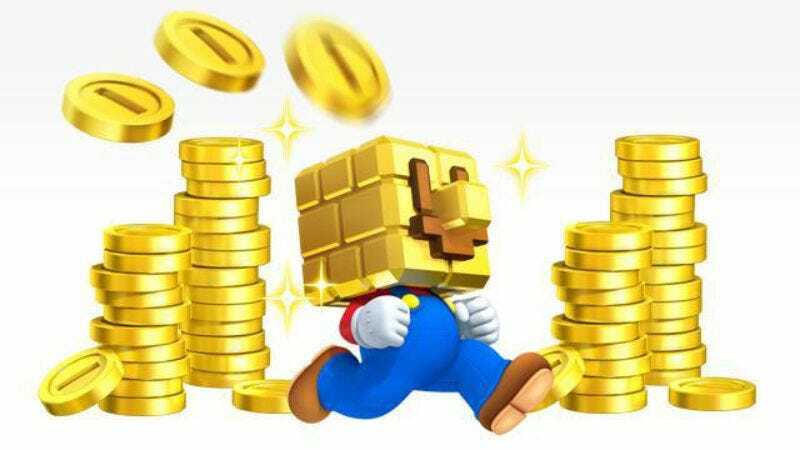 It’s worth noting that Nintendo is in the process of shutting down Club Nintendo, its rewards program where players can register their games to earn prizes, and has promised that a new, as yet unannounced program will replace it. It seems likely that this loyalty program will be a part of the new player network, in addition to giving users a way to spend real money on virtual pokéballs anytime, anywhere.